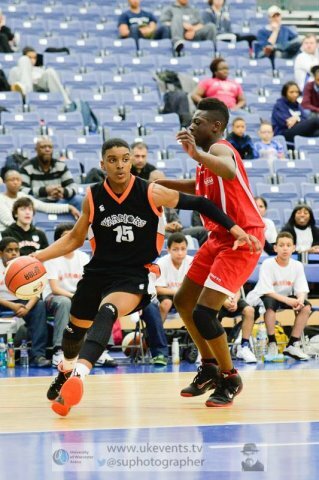 English Basketball Club the Leicester Warriors have unearthed a gem in St.Kitts basketball phenom , teenager Kareem Queeley. The 14-year-old point-guard has just signed for Real Madrid, one of the giants of European basketball, who have been watching the youngster’s development for the best part of a year. It is a huge move for Queeley, who has been at the heart of the Warriors junior programme since joining the club in 2011. However, Warriors director of basketball Karl Brown believes that Queeley, who has represented England under-16s as a 14-year-old, now has a real opportunity to hit the basketball heights as he sets out on a new life in the Spanish capital. SKNABA Presixent Romel Tobias who Queely worked with briefly while on St.Kitts during the summer months in his pre-teen years has expressed his pleasure in the phenomenal progress of young Queeley. Queeley played for Real Madrid at the prestigious Minicopa in Gran Canaria which they won and in the process Kareem won the Most Valuable Player Award. This season has also seen Kareem represent England at both U15 and U16 level in competitions in Copenhagen and Lithuania. 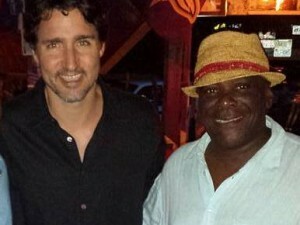 Queeley is the Son of St.Kitts Businessman and popular race Car enthusiast Sherlock Queeley and Emma Queeley former employee at the Eastern Caribbean Central Bank. He is the grand son of the owners of the Trinitiy Inn and Stables Mr. and Mrs Walters .